What Will Drive ECM and M&A Flow in 2H17? The Co-Head of EFG Hermes Investment Banking, Mohamed Fahmi reflected on the achievements of the past months, and discussed trends and prospects for M&As and ECMs in 2H17. To start off, what kinds of M&As do you expect to see in 2H17? MF: The M&A market overall has been a bit slow in the first half of the year. I think that the few large M&As that we saw, such as the USD 2.4 bn sale of Americana to Gulf investment firm, Adeptio and Amazon’s acquisition of Souq.com, were important deals but they’re not the norm. We are however seeing some traction on smaller M&As with a ticket size of USD 50-100 million. I think the current slowdown can be attributed largely to a valuation gap – this is particularly an issue in the UAE, more so than Saudi Arabia and other countries. While there is interest with both financial and strategic investors, sellers have been rejecting the numbers. I do expect the second half to be a bit more active, at least for smaller transactions. A few investors are looking into larger transactions in the UAE and Saudi Arabia that are closer to USD 500 million or so, but I wouldn’t say that the pipeline is robust. The few large transactions that will take place will be highly contested because there is little offering in the market at the moment. Which markets do you think will be most active? MF: I think that Saudi Arabia will see more transactions in the second half. Prevailing political and economic uncertainty is pushing people to diversify in order to decrease risk. 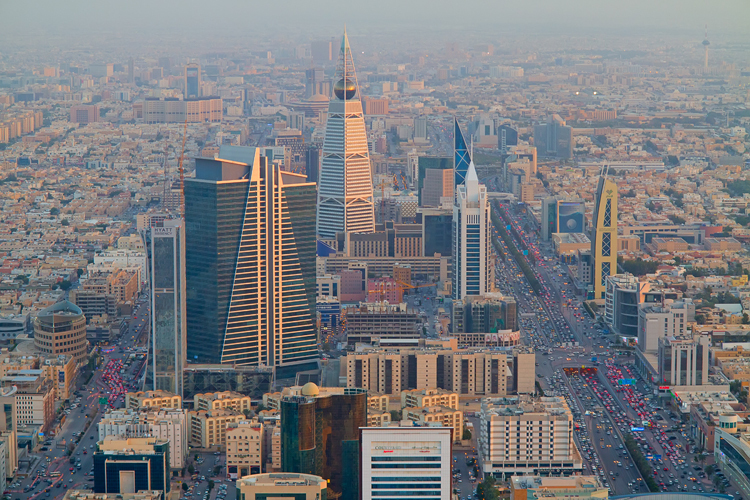 The new investments are going to be more intra-Saudi M&As, whether it’s a strategic domestic investor acquiring existing assets to consolidate or new financial investors entering the market, the investments will be more regional and less international. Increased visibility on the economic outlook will also help spur more M&A activity in the country. With less restrictive foreign ownership rules the UAE holds more potential for foreign investors, particularly for M&As in the second half of the year. Kuwait could be an interesting market as well. It’s now home to head offices of several strong regional companies. The Americana transaction in 1H17 has also helped to change the mindset in Kuwait regarding divestments. Kuwaiti companies have not typically been sellers, but I think this is changing. It sounds like the UAE and KSA in particular will have a busy second half as far as M&As are concerned. In what sectors do you expect to see the most activity? MF: Looking again at the UAE, traditional industries have been slow lately, but I think there’s a particular appetite for M&As in tech, healthcare, and education. Some major retail players there are interested in consolidation as well but multiples have been inflated, so valuation expectations are still very much at the high end. The market is changing, but sellers have not yet adjusted their expectations. That’s why so many transactions haven’t closed despite aggressive bidding. In Saudi Arabia some private equity firms may be looking to exit businesses ranging from waste management to large food companies. Businesses with high government concentrations are not popular at the moment due to payment delays but I believe that situation will start to improve. Let’s talk about equity capital markets. EFG Hermes has had a strong start to the year. What activity do you see in ECMs regionally in 2H17? MF: Yes, we’ve had a very good start to the year with 6 deals in the first half including three IPOs on Nasdaq Dubai, the EGX, and the LSE. In April, we also concluded two high-profile secondary sales in Egypt and Kuwait. Regionally, 2H17 should be more active. In the UAE particularly, the macroeconomic outlook is good, and the government is proactive and stable. We’re seeing a push for government-related entities several of which are slated to go public. We’ll see at least one IPO out of the UAE in excess of USD 1 billion before year end. Once we have more visibility on when Aramco is going out, we’ll see a big push for IPOs in Saudi Arabia. Oman could be active if privatization efforts are successful. Kuwait also has a few issuers who may be interested in listing outside the country or executing accelerated bookbuilds to create more liquidity. In Egypt, there’s ECM appetite for the right story. We want to see more issuers on the EGX however its unlikely that we will see large transactions soon, but small offerings in the USD 100-150 million range certainly on the table. Earlier you mentioned that a valuation gap has been slowing down the market for M&As lately; this likely affects ECMs as well. What strategies will EFG Hermes and other investment banks use to address the issue of the valuation disparity and encourage market activity? MF: In the current market, we see an excellent opportunity to apply our new merchant banking model as a way of addressing regional disparity in valuations. With the mismatch somewhat putting the brakes on equity financing, companies could look for alternatives in debt instruments such as mezzanine facilities or convertibles, and this is an area in which we are confident we can perform well.